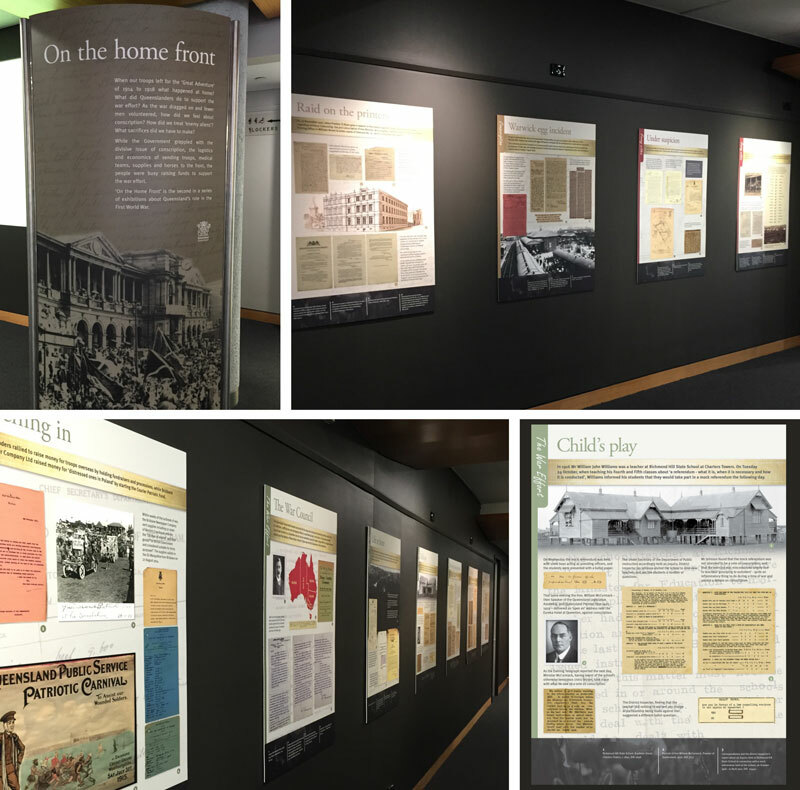 This exhibition ‘On the home front’ was officially opened today and highlights some of the records in Queensland State Archives’ collection which document life on the home front in Queensland during the First World War such as the treatment of ‘enemy aliens’ – principally Germans and the issue of military conscription. Did you know that each time a referendum was held, the majority of the Australian public voted against military conscription. Conscription divided the nation along both political and religious lines. Twelve boards were created, printed and mounted onto PVC along with one large introduction panel.